Authors: Samarendra Das and Miriam Rose, Foil Vedanta. Chapter 1:Who are Vedanta KCM? Material flows – where does the copper go? Chapter 5: Who owns Zambia? Chapter 6: NGOs and civil society – parasites of the poor? The question as to who, and what, is responsible for African underdevelopment can be answered at two levels. 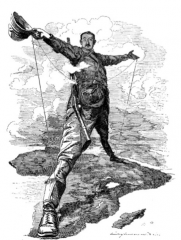 Firstly, the answer is that the operation of the imperialist system bears major responsibility for African economic retardation by draining African wealth and by making it impossible to develop more rapidly the resources of the continent. Secondly, one has to deal with those who manipulated the system and those who are either agents or unwitting accomplices of the said system.The capitalists of Western Europe were the ones who actively extended their exploitation from inside Europe to cover the whole of Africa. In recent times, they were joined, and to some extent replaced, by the capitalists from the United States; and for many years now even the workers of those metropolitan countries have benefited from the exploitation and underdevelopment of Africa. Walter Rodney, 1972, ‘How Europe Underdeveloped Africa’. Zambia has been exporting Copper for almost a century. In 1889 the British South African Company (BSAC) was given a Royal Charter, modelled on the East India Company, to exploit the mineral wealth of Southern Africa for Britain. The board of BSAC included Sir Cecil Rhodes, founder of the De Beers Mining Company, and pioneer colonialist after whom Southern and Northern Rhodesia (Zimbabwe and Zambia) were at that time named. Rhodes’ signature project was to link the Cape to Cairo by railway, allowing minerals and natural resources to be easily extracted and exported to Europe. BSAC administered Northern Rhodesia with paramilitary forces until 1924, when it was replaced with direct British rule, but continued to own Zambia’s railways until 1947, and their mineral rights until 1964 when Zambia achieved independence. In the 1930?s and 40?s a rising tide of African nationalism led to strikes and protests in the mines, and the formation of the Northern Rhodesian African Congress – the first African political party in Zambia – in 1948. As a response to these uprisings, the 1955 Public Order Act was instated by the British colonial rule, to maintain their administrative and economic power, ensuring that extractive colonialism was not interrupted. The Act (similar to Section 144 in India) prevented meetings, protests, and political flags or uniforms, criminalising all forms of resistance. The Public Order Act remains in Zambian law today, and current President Michael Sata has been widely criticised for breaking an historical ‘selective use’ policy, and using the colonial law extensively to prevent any dissenting gatherings or protests. Zambia achieved independence in 1964, and joined the IMF in 1965. First President Kenneth Kaunda nationalised the mining companies and briefly oversaw an economic boom as high copper prices brought prosperity to the nation. The Intergovernmental Council of Copper Exporting Countries (CIPEC) was created in Lusaka in 1967 with major copper producing nations Zaire, Peru and Chile as a copper cartel to increase national revenues from mining. But CIPEC did not succeed, copper prices fell dramatically in the late 1970?s, and Zambia’s sanctions on white-ruled Rhodesia (Zimbabwe) endangered their trade routes for copper exports to South African ports. In the 1980?s Kaunda was forced to ask for international aid, and in 1983 the first official Structural Adjustment Programme was imposed by the World Bank and IMF, leading to food riots, student demonstrations and civil unrest, as government spending was slashed, price controls were removed and poverty increased. Kaunda’s government rejected the World Bank/IMF’s programme briefly in 1987, and saw economic growth return, but were forced to remove all protective measures again only a year later under pressure from the Paris Club (a group of rich country leaders) who were withholding bi-lateral aid2. Since then Zambia has undergone one of the most far reaching liberalisation and privatisation programmes in Africa, and simultaneously has become poorer and poorer. Today, in a country half the size of Europe, covered in fertile soils and forests, with a population of only 13 million, life expectancy is only 37, and 20 percent of the population claim 68.67 percent of the total income3. A core plank of the World Bank and IMF’s conditions was the break up and privatisation of national mining company ZCCM. They facilitated secret Development Agreements between the Zambian Government and mining conglomerates, which reduced royalty rates, environmental regulations, electricity prices, corporate tax and workers’ wage and welfare packages. The agreements are guaranteed for between 15 and 20 years, and can only be changed via a process akin to changing the national constitution. The legacy of extractive colonialism and recent far reaching neo-liberal economic policies (which can be clearly seen as neo-colonialism), is a Zambian state which has been corrupted, bankrupted, disenfranchised and dis-informed4. Lack of resources and political conflicts of interest, alongside a concerted effort by mining companies to hide data and manage perceptions, leave the Zambian state with virtually no information on the ownership, operations or production of the mining companies. There is no independent data on the volumes of copper or other minerals they are producing or exporting, or where it is going. On top of this, weak laws (negotiated by the World Bank and IMF programmes), and ill-resourced regulatory bodies mean that tax evasion, fraud, illegal mining, environmental damage and human rights abuses are rarely penalised even if they are known. Most strikingly, two Chinese managers who shot 13 Zambian workers at Collum mine in October 2010, had charges against them dropped a few months later5. These kind of policies are leaving Zambia with very little revenue or benefit from the extensive and rapid mining taking place. The highest unemployment rates are in the Copperbelt and in the capital Lusaka, at 24.5% and 22.3% respectively7, mostly affecting youth, and prostitution is the only way of earning for many wives of jobless miners in the region8. This report uses the best available sources from within and out-with the industry to inform and widen the debate around copper mining in Zambia, focusing on the activities of Konkola Copper Mines (KCM), a subsidiary of Vedanta Resources. It aims to expose the interests behind Vedanta, their environmental and human rights abuses, and their loot of copper and other minerals from the Zambian people. More generally, we look at who really controls the Zambian economy and national policies – from international institutions and shareholder patterns, to donor agencies and NGOs. Due to high levels of opacity (opaqueness) we are missing vital information such as KCM’s annual reports, and accurate figures on copper production and exports, despite visiting every government and private institution we could in an attempt to find them. Lacking this crucial information, this report is based on international financial data and first hand interviews as well as other studies and documents. Konkola Copper Mines (KCM) was the largest and most copper rich asset sold off as part of the break up of national mining company ZCCM. It was originally sold to Anglo American plc for $90 million in 2002, who have been in Zambia since the 1930s, and had been managing the mine for ZCCM prior to official privatisation. In 2001 they had secured a $81 million loan from the UK Department for International Development (DfID) to refurbish the Nkana smelter (begging questions about why the UK’s aid budget was being used for private gain)9. But only a few months after privatisation Anglo American claimed the mine was unprofitable and pulled out their shares again. This raises stark questions about why and how Anglo acquired the mine. The former head of Anglo in Zambia, Anderson Mazoka, later claimed it was to ‘lock up resources in Zambia’10, but Mazoka was also sponsored by Anglo to start a political party to oust President Chiluba, which was unsuccessful and may have led to his poisoning in 2001,11 another potential reason given for Anglo’s hasty withdrawal. In reality this is yet another opaque mystery in Zambia’s copper history. A 51% share in KCM was sold to Vedanta Resources for just $25 million, paid in cash, and $23 million in deferred payments, in 200412. The deal was facilitated by Clifford Chance and Standard Chartered Bank13 (one of the main bookrunners and lenders to Vedanta Resources). Within three months Vedanta had already recouperated its initial investment, making $26 million. The banks also helped Vedanta secretly negotiate a call option allowing them the right to purchase Zambia Copper Investments’ 28.4% share14, which they exercised in November 2005 (a year after their initial purchase), giving them the 79.4% monopoly they currently hold on KCM, while the Zambian government – via ZCCM-IH (their mining investment wing), own the remaining 20.6%. The Competition Commission was even rendered irrelevant by the Zambian government to allow Vedanta such a large majority share15. In addition to all this Vedanta was allowed to carry forward all losses incurred ‘up to and including 31 December 2003? – before it even owned shares in KCM. These amounted to $635,897,000, meaning Vedanta would not have expected to pay tax until the year 2024 at the market conditions of the time18. In the following years Vedanta made record profits – for example $301 million in financial year 2006/7 alone19, but very little change was seen in the Zambian national revenue from this mining boom. The pattern of buying massively undervalued state-owned entities, and operating them without adequate permission is Vedanta’s speciality. In Chhattisgarh, India, they bought BALCO’s bauxite refinery, smelter and mines for $89million in 2001 when it was worth around $800 million21. Vedanta Chairman Anil Agarwal is currently under investigation by the Central Bureau of Investigations in India over the original disinvestment of 51% of Hindustan Zinc Ltd (HZL) to Vedanta for only $72 million22, claiming the deal was considerably undervalued, and may have lost the exchequer hundreds of millions of dollars in revenue23. Vedanta subsidiary Sterlite’s copper smelter in Tuticorin, Tamil Nadu, has been built and expanded without various permissions. Local activist researcher Nityanand Jayaraman’s article Vedanta-Sterlite – Dangerous by Design24 summarises these illegalities and could be a useful resource for Zambians to understand the operating patterns of the company which owns the majority of their copper. Vedanta Resources was a FTSE 100 company until December this year, when their share price dropped to an all time low of 775p (from a 52 week high of 1,335p). In response Chairman Anil Agarwal played his usual trick of buying as many shares as possible – a total of 5.2 million2829, but it was too late. This leaves Anil Agarwal owning 67% of the company, via his holding company Volcan Investments Ltd, based in the Bahamas – a UK controlled tax haven. This means he pays a minimum of tax, in Britain, or anywhere else he operates. Vedanta, which has operations across India and Africa, has been named ‘the world’s most hated mining company’ by The Independent newspaper in Britain30, while even the former Director of the Confederation of British Industries, Richard Lambert, has recently suggested Vedanta is bringing shame on the FTSE 100 by ‘challenging the canons of corporate governance’31. As Vedanta’s share prices crashed this winter, the Business Standard of India published an article naming people’s resistance and environmental issues at their operations, government regulations, and high debt as Vedanta’s major woes affecting their Indian operations32. People’s movements have cropped up in response to illegalities, human rights abuses, pollution and workers rights issues at almost all of Vedanta’s plants. Most strikingly Vedanta lost $10 billion this summer when it failed to gain permission to mine bauxite in the Niyamgiri mountains in Odisha, India, due to ten years of resistance by the inhabiting tribal groups and farmers. Vedanta had built its refinery, and expanded it six fold to 6 million tonnes per year capacity, before it received permission to mine, so certain was Agarwal that he would get the bauxite despite the inhabitant’s disagreement33,34. When Vedanta bought KCM they inherited many of the concessions negotiated by Anglo American in 2000, some of which had even required new legislation or changes to existing legislation35. These are legalised in Vedanta’s secret Development Agreements negotiated by Clifford Chance with the Zambian Government which are fixed until 2018. These agreements were leaked to NGO researchersand can be found online36. The deal guarantees them a royalty rate of only 0.6%, and allows them to deduct 100% of capital allowance from their investments. The Development Agreements also radically reduced levels of environmental regulation and environmental liabilities which the mining industry had claimed ‘could result in very large claims’. Vedanta were exempted from tax on dividends, interest, royalties and management fees. They are also exempt from rural electricity tax37, which is useful for KCM since they use around 13% of Zambia’s electricity. Vedanta KCM are currently searching for new coal to power a captive plant so that they can avoid a price hike when their agreement ends38. Kenneth Kaunda (Zambia’s first President), The Post Zambia newspaper, 2005. Why is it that when copper prices are around $7,300 per tonne, and demand from China is increasing annually, Zambia is one of the world’s poorest nations with external debts of 32% of GDP? As Kenneth Kaunda, Zambia’s first African President, points out in the quote above, the profits from mining are gushing out of the country, and the Zambian Government and regulatory bodies remain painfully short of information on where this revenue, or even the copper itself, is going. This dearth of information makes copper the ‘elephant in the room’ in Zambia. There is no monitoring of production volumes at the mines, or exports at ports of exit. Instead all figures come from the company’s own reporting, which historical cases show is often deliberately distorted42. Politicians, trade unions, academics and journalists debate endlessly over the percentage of royalty or windfall tax the nation should be receiving. But without accurate information on the volumes of extraction or the profit made by mining companies, how can the Government make an informed decision on mining policy? We went from pillar to post looking for a copy of Zambia’s biggest miner Vedanta-KCM’s annual report, believing the vital figures on production and profit it contains should be public information. But despite visiting the Central Statistical Office, the Bank of Zambia, the Deputy Minister of Mines, the Lusaka Stock Exchange, and ZCCM-IH (20.6% shareholder of KCM), none was available. This section looks at the opaque nature of copper mining in Zambia, and uses global financial statistics and parallel case studies to examine copper material flows and financial flows from Zambia, evaluating the potential for the Zambian people to truly profit from their extensive resource. According to the Central Statistical Office of Zambia (CSO) copper and cobalt products worth $5.9 billion were exported from the country in 201043, while the Bank of Zambia (BoZ) puts the value of metal exports in 2010 at $6.07 billion44. In the same year, according to the Government of Zambia’s reports to the Extractive Industries Transparency Initiative (EITI) only $552 million was received in tax revenue from mining, or $688 million if PAYE (tax deducted from workers’ pay) is included45, a tenth of the estimated value of the exports. But this is not the whole story. Why are the CSO and BoZ figures so different? The CSO takes its figures from the mining company’s declarations, while the Bank of Zambia uses its own formulas to estimate production and export volumes. In 2010 CSO report 767,008 tonnes of copper produced, while BoZ report 852,566 – a difference of 85,000 tonnes. In 2012 CSO report 721,446 tonnes, and BoZ 824,922 tonnes, a difference of 103,000 tonnes4647. So there is no clarity within Zambia on the actual levels of production or export of metal. It is likely that the real figures are considerably higher for several reasons; illegal mining operations extracting ore under the radar, and deliberate under-declaring of production and export volumes by companies. Research conducted by the ISS in Zambia in 2010 found the mining industry extensively affected by theft, corrupt business practices, tax evasion and smuggling48. Vedanta’s own figures should be treated with suspicion. If they only produce 8 tonne/employee compared to a global average of 150 tonne/employee, as they have often stated, how are they still making a $362 million profit? Either they are paying the workers very little, making large margins on other concessions, or misdeclaring their production. Deputy Minister of Mines Richard Musukwa suggested to the researchers of this report that Vedanta have been doing a lot of in-house trading by bringing in Indian companies as contractors. Analysts reports from Global Data reveal that KCM made 12.19% of revenue for the entire Vedanta group in 201257 so they are certainly not doing too badly. This is very similar to the agreement for Mopani Copper Mines, and other major miners in Zambia and can leave the exchequer with virtually no tax revenue at all from companies making enormous profits. For example KCM declared profits of $301 million in 2006/7 62, though they extracted $1 billion worth of ore, and only paid royalties of $6.1 million63. As we noted earlier, these losses were inherited from Anglo American, the previous mine owner. In an interview with the researchers of this report, Dr Mattheus Mpande, former Deputy Minister of Mines, and Professor at the University of Zambia, named three problems with Zambia’s mining policies; rent seeking behaviour, labour aristocracy, and populist views. We will refer to the latter two later in this report, and will look at the former now. Mpande argued, and we agree, that royalties and taxation should not be seen as the primary method of revenue generation from copper mining. Instead, he suggested that increasing value addition and ‘backward linkages’ in Zambia should be the main focus68. This means raising the value of copper before it is exported by processing it into coils, pipes, wires etc, after which the product can be sold at a far higher price. Beyond that, we suggest Zambian authorities should re-examine the concept of royalties all together, and look at charging private companies a realistic price for the ore they extract. Royalty itself is a colonial concept, which originally meant ‘a percentage of profit gained from a service rendered to the state’. The relevance of royalty was challenged by Indian courts in 1993-4 during a dispute over low royalty and other rental rates for granite mining.69 Major international campaigns such as Tax Justice Network and the Extractive Industries Transparency Initiative have played into this ‘rent seeking’ ideology, lobbying for minor increases in tax revenues, and ignoring more profound issues around the ownership and valuation of mineral resources at the outset. Zambia did abandon royalty rates in 1966, following independence, and introduce an export tax to reduce the leakage of copper profits overseas. This helped enable the country’s copper boom in the next decade.70 Today copper prices are again high, with a profit margin of at least $2000 per tonne (difference between production cost and price of copper – see figure 2) but Zambians are seeing very little benefit. Since private mining companies are not carrying out a ‘service’ for the state, but rather extracting resources for their own profit, royalty rates may not be an appropriate form of resource tax. Instead it would be useful for the Zambian government to evaluate the real value of its copper and other mineral resources, and consider charging for extraction accordingly. This means demanding, or independently seeking, information on the real cost of production, and the real profit attained by companies. According to KCM’s own reports, their assets in Zambia comprise 13.6 million tonnes of copper71. At current rates of $7,300/tonne this would be worth $99 billion. This value belongs to the Zambian people. Dr Aidoo told the Accra-based Radio Gold that he would rather the minerals remained untapped in the ground so that local mining techniques, even if primitive, could be employed to exploit them. If that meant only 5% of the minerals were exploited, he said, it would be far better for the country than the current situation where Ghanaians themselves did not benefit from God-given resources73. The cost of mining to the Zambian and Ghanaian economies goes far beyond loss of profit from taxation or export value. The real price of copper includes the pollution of water and air caused by mining and transportation, the cost of decommissioning mines and smelters, health effects on local populations, and the depletion of the finite resource, which will not be available to future generations. These are known as ‘externalities’ – real costs which will be borne by people and governments at present and in the future, but which are not included in the market price of a resource. Ecological economist Maarten De Wit values the real cost of copper (including externalities) at $33,000 per tonne, four to five times the current market price.74 The price is high because copper is one of the most material intense metals to produce – creating 500 tons of waste, and using 260 tons of water for each ton of primary copper.75 Understanding the real ecological price of copper is important for resource rich states, since when their resource is depleted, they will continue to pay for the externalities for years to come. This sort of calculation should be included in the cost benefit analyses when new mines are proposed or deals struck with companies. Perhaps the most stark case of opacity in Zambia’s copper story relates to the final destination of its copper exports. On paper the majority ends up in Switzerland (a major tax haven where Glencore International is based)76. Figure 6 shows Zambia’s main export markets in 2008/9 when the dominance of Switzerland was more striking than today, with the most recent graph inset. The increase in imports to China can be attributed to the influx of Chinese state owned mining companies now exporting copper from Zambia. Like other places where they operate in India, Vedanta have put considerable emphasis on Public Relations (PR) since acquiring KCM in Zambia. PR is used to emphasise and exaggerate their Corporate Social Responsibility (CSR) programmes, and create positive perceptions of the company for politicians, investors and community members. However, behind the shiny images of happy African children, Vedanta’s rhetoric of alleviating poverty through mining is usually very hollow. The reality for communities around Vedanta’s operations around the world, and in Zambia, is far from positive, as pollution, workers rights violations and tax evasion leave little local benefit. Augustine Seyuba is now Permanent Secretary in Zambia’s North Western province, an upcoming mining area, showing the dangerous and common revolving door from journalism to PR to politics. KCM’s current PR head – Joy Sata, is another former journalist, and their head of Communications – Shapi Shacinda, is a former Reuters correspondent. In India Vedanta has come under attack for its misleading PR campaigns. A major national campaign in India called ‘mining happiness’ had to be scrapped after celebrity participants pulled out due to concerns about Vedanta’s ethics. Activists formed a parallel campaign called ‘faking happiness’ which pointed out the truth about Vedanta’s mining practices such as land grabbing, toxic waste dumping and harassment of villagers who opposed their projects85. Vedanta are currently running another major PR campaign in India called ‘Our Girls, Our Pride’ which paints them as women’s rights advocates. This has also been opposed by women’s groups who have called it a sham, noting the many women and girls made homeless, fatherless and destitute by Vedanta, as well as those who have led social movements against their operations86. Vedanta’s perception management in Zambia has also involved spreading some serious misconceptions right up to the highest levels of Zambian politics. The most common myth is that Vedanta is an Indian company, when in fact they are registered on the London Stock Exchange and headquartered in London. Though the majority of their operations are in India, and majority owner Anil Agarwal is Indian by birth, Indian shareholders hold less than 1% of the company, and Vedanta are answerable to British company law. Creating a perception that they are not making profit is important to Vedanta in Zambia as they can use this to bargain for reduced taxes and other costs. Vedanta recently claimed they could not pay an alleged $586 million in unpaid tax as it would compromise their ability to pay workers88. A journalist told us that since Vedanta’s reputation was seriously compromised by their attempt to fire 2000 workers this year, they have been taking out front page newspaper ads saying they are prospecting for oil and gas in Zambia, though there is no evidence that they have made any such developments. This sort of perception management is also used by Vedanta to create investor confidence. For example, while claiming they are cash strapped in Zambia, Vedanta will tell investors that KCM is highly profitable. This enables them to secure loans or increase share uptake. Most famously, Vedanta created the perception that they had permission to mine the Niyamgiri Hills in Orissa, India, for bauxite, which was reported in the UK’s Financial Times in 2004, assisting them with investment and loans for the project.89 In fact permission was never granted, ultimately costing them $10 billion from an unrealised investment90. We visited communities living around Vedanta-KCM’s mines and refineries in the Copperbelt. Helen and Shimulala communities are located near KCM’s Nchanga mine in Chingola. They are home to 400 people. Pollution from KCM’s tailings dam number 2 (known as TD2) has contaminated their water supply as well as the Mushishima stream which runs nearby. Local residents told us that KCM drilled them a borehole after the stream became contaminated but when they took samples it was also polluted with copper sulphate. They allege that a water tank subsequently delivered by the company also contained contaminated water. With no clean water source in their village residents now walk to a shallow well they have dug in marsh to fetch dirty water. They fear this may also be polluted. KCM’s press releases praise their contribution to local communities by releasing 50,000 fingerlings into Mushishima stream this summer.91 But residents say although they eat fish from the stream, they are worried that they may also be contaminated. At Vedanta’s other copper smelting subsidiary – Sterlite, in Tamil Nadu, India, a major sulphur dioxide release which hospitalised hundreds of residents brought more than 5000 people into the streets this March, in a ‘bandh’ which closed the town of Tuticorin.101 The smelter was temporarily closed as a result, but was reopened a few months later. The Sterlite plant has one of the highest rates of workers deaths, with sixteen dying between 2007 and 2011.102 Many of these were recorded by the police as suicides. In 1997 a toxic gas leak at the plant hospitalised 100 peoplesparking an indefinite hunger strike by a local politician and a ‘siege on Sterlite’ that led to 1643 arrests. Other studies have dealt with Zambia’s lack of sovereignty over its own ‘development’ due to the restrictive conditions placed on it by World Bank and IMF loans and ‘aid’. These conditions have forced cuts to government spending and the privatisation of almost all of Zambia’s parastatal entities over the last three decades, making Zambia a celebrated model of economic liberalisation, but simultaneously exacerbating levels of poverty and deprivation.114 We will not deal with the well publicised impacts of the World Bank and IMF here, but instead attempt to shed light on several of the lesser known interests behind these agencies and the multinational companies they have ushered in. A glance at the top shareholders of the largest mining companies in Zambia is very revealing (see figure 9). Common shareholders in Vedanta Resources, First Quantum Minerals and Glencore International are Blackrock, Standard Life, Capital Group and the Government of Singapore. Blackrock, JP Morgan and Goldman Sachs are currently working together in an attempt to buy up 80% of available copper on behalf of investors, and hold it in warehouses. This will create a copper futures market enabling speculation, futures trading, and backing of new loans and funds. In 2010 JP Morgan bought more than half of the available warehoused copper in a few weeks, leading to a spike in copper prices. Manufacturers and copper wholesalers warned the Securities and Exchange Commission (SEC) that such a monopoly on copper would squeeze the market and send prices skyrocketing but under pressure from Blackrock and the banks the SEC approved their proposal.117 The aluminium futures market set up by Goldman Sachs, on which the copper takeover is modelled, is estimated to have cost consumers billions of dollars in price hikes, as market manipulations sent prices soaring.118 Blackrock also owns 7.91% of Freeport McMoran Copper and Gold Inc, the world’s largest publicly traded copper producer, making it a major power in the copper industry. Another key shareholder in Zambia’s copper – Capital Group, based in Los Angeles, is one of the world’s largest investment managers, controlling around $1 trillion in assets. It is worth noting that the Government of Norway have a large share in Glencore International, the controllers of Mopani Copper Mines (one of the largest and most contentious and tax avoiding miners in Zambia). While NORAD, the Norwegian government’s development programme, funds programmes in anti-corruption and auditing of mining companies which are billed as helping to reduce the loot by mining companies, the Norwegian government simultaneously profits from the same loot, in dividends and payouts. For example NORAD is currently funding the Zambian Revenue Authority to set up a special Mining unit to monitor company profits and increase revenue, an act which, if successful would significantly reduce their own profits from Glencore shares.119 The Norwegian Government’s significant influence on Zambia via shareholding and aid should be closely monitored. As a former British colony it is not surprising that the UK government continues to have significant interests in, and influence on, Zambia. The UK’s Commonwealth Development Corporation (previously the Colonial Development Corporation and now known as CDC group) owned 7.5% of KCM when it was controlled by Anglo American, and had previously set up the Kafue Consortium to try to buy key mines during the privatisation of ZCCM120. CDC is wholly owned by the UK government and overseen by the Department for International Development (DfID). At the same time DfID remains a key provider of ‘aid’ to the Zambian government, including supporting its electoral process, and funding the Central Statistical Office and anti-corruption strategies. Like the earlier example of Norway, the UK government’s stated aims of its ‘development aid’ to Zambia are often in direct conflict with the interests of UK financial policy and UK registered companies, begging questions on how the UK government is really using its influence in Zambia. In fact Britain has been a central force in opposing policies which would have brought greater prosperity to Zambians through mining. In 1962 the UN General Assembly passed Resolution 1803 on The ‘Declaration on the Permanent Sovereignty of Natural Resources (known as PSNR) which established the right of nations to use natural resources for their own development by nationalisation or raising taxes. The policy, which was originally initiated by UN General Secretary Dag Hammarskjöld, was staunchly opposed by Britain, along with other Western powers and South Africa, who saw it as a threat to ‘neo-colonialism’.128,129 It is poignant that Dag Hammarskjöld died in the Zambian Copperbelt, in what is now believed to be an MI6/CIA assassination130, taking with him his vision of a New International Economic Order (UN General Assembly Resolution 3201, 1974)131 which aimed to bring economic justice to Third World nations. Finally, the next chapter will deal with the enormous influence of international NGOs and donor agencies on Zambian politics and society, and their role in the neo-liberal project in Zambia. NGOs and civil society – parasites of the poor? Zambia’s NGOs are the recipients of large amounts of foreign donor aid and funding, but are they making a significant difference for people in mining areas, and are they accountable to Zambia’s affected communities? It is our experience in India and elsewhere, that NGOs often have the effect of suppressing, or co-opting grassroots actions, and hence do not create the significant long-lasting change that originates from mass movements. Interestingly, where strong grassroots movements exist in India and Latin America NGOs are often scarce, suggesting an inverse relationship between the two groups. This chapter looks at three ways in which Zambia’s NGO culture may be more harmful than beneficial to the country. NGOs are primarily accountable to their funders, who are usually foreign government aid agencies, or international NGOs (who are in turn funded by government bodies and/or donor agencies), rather than the people they claim to work for or with. Earlier in this report we touched on the minimal impact of tax justice and royalty based campaigns in Zambia. The aims and values of these campaigns are often more related to donor interests and world-views than an informed questioning of mining economies or people’s grassroots perspectives. The most obvious example of this is the Extractive Industries Transparency Initiative (EITI), promoted by almost all the Zambian NGOs without question. EITI was initiated by British Prime Minister, Tony Blair, and Development Minister, Clare Short (now its head) in 2002 as a joint project with the World Bank. It aims to increase transparency by asking signatory companies to publish their tax and royalty contributions, and signatory states to disclose what they receive, revealing any discrepancies. One popular Independent MP, Patrick Mucheleka, was previously Executive Director of Civil Society for Poverty Reduction, a large NGO funded by the European Union, Action Aid, DfID, GIZ (German aid), Norwegian Church Aid, UNICEF, the Finnish Embassy, Diakonia and the World Bank.146 What interests and ideologies will he bring to his job in politics? We noted how easy it was for NGOs we met to get access to politicians and even cabinet ministers. The perspectives of civil society are clearly highly valued by Zambian policy makers, who they extensively consult with, but it should not be automatically assumed that they speak on behalf of the people. NGOs’ significant influence on policy making could be seen as undemocratic, largely representing donor interests and effectively suppressing the authentic voice of communities. The Lusaka born writer and banker Dambisa Moyo, author of ‘Dead aid: Why Aid Is Not Working and How There is Another Way for Africa’,147 and other neo-liberal economists such as William Easterly have made widely circulated critiques of aid from a right wing perspective. They note that countries flooded with aid money have in many cases become poorer and not more developed, and suggest it should be replaced by Foreign Direct Investment (FDI) by multinational companies. This is in fact already happening, with FDI flows overtaking aid in Sub Saharan Africa since the 2008 recession, boosted considerably by Chinese industrial interests. Some reports claims China has invested $2 billion in Zambia already. Viewed from a different perspective, foreign investment brings many challenges. Few African governments negotiating the terms of concessions and licences have the type of information they need to assess the extent of mineral reserves and the potential costs of extraction and marketing. By contrast, oil and mining companies have unrivalled access to commercial market information, geological analysis, technologies for exploration and extraction, financial resources, and export channels. While corporate revenues are not strictly comparable to GDP, the commercial activities of multinational natural resource companies dwarf the economies of the African countries that they operate in. The report also notes that ‘returns on investment in Africa are high by the standards of other developing regions: 20 per cent compared with 12 per cent to 15 per cent in Asia and Latin America‘, a clear indication that exploitation is taking place, and that other policies are possible. What is truly needed in Zambia is political autonomy from all outside interests, strategic links with fellow resource rich nations and between their social movements, and sharing of information to enable a deep re-analysis of how to avoid the ‘resource curse’ and create a sustainable future. Zambian politicians and newspapers often talk about foreign companies as ‘investors’ in their country, and companies themselves present their presence in Zambia as a benevolent effort to create jobs, even at their own loss. This misconception couldn’t be further from the truth. Extractive industries come to Zambia to take advantage of low taxes and liberal policies which allow them to ruthlessly loot and exploit the natural resources, leaving behind corruption and environmental and social damage which their minimal tax contributions don’t come close to compensating. Recent studies have revealed in unequivocal terms that Sub Saharan Africa is a ‘global net creditor’ of billions of dollars each year (mostly in ‘illicit flight’ of owed taxes, undeclared extraction and corrupted deals), and not a burden on the rest of the world as we are made to believe.151 This is extractivism, not investment, or aid. The bottom line is that Zambia’s copper based economy has a finite lifetime, with economists suggesting that Zambian copper will be exhausted between 2020 and 2100.152 The upper end may be unlikely, and we have shown how companies and even financial analysts can manipulate these figures to create investor confidence and enable speculation. At any rate there is limited time to reverse the trend of losing, rather than gaining from this precious resource, making it last, or planning for an economy without it. Vedanta claim their Zambian assets at KCM comprise 13.6 million tonnes of copper, which, at current copper prices would be worth $99 billion. Is this resource benefitting the people of Zambia under Vedanta’s management? If not, how can the Zambian people and its authorities radically re-examine the worth and potential of this enormous national asset? This report does not intend to give simple answers, but instead to raise some crucial questions and provide missing information to enable informed debate. The following recommendations are intended to help Zambians take steps towards re-assessing and redefining copper-based ‘development’ in their country. Primarily, we suggest Zambia must break its current isolation and make links with other resource rich nations, sharing different approaches to policy and economy which genuinely benefit people in the long term. In particular, connections should be made between people’s movements which have enacted deep and meaningful changes from the bottom up. By connecting our struggles and sharing research and tactics we can be more informed and better supported to dissent from unequal and exploitative extractive policies. Lack of information is a key issue in Zambia. Learning from other global examples there are a variety of ways in which crucial research could be carried out, affecting informed policy change. A people’s survey of trucks and/or trains leaving mines and smelters is an excellent way to estimate the true volume of production and exports. This was how Goa’s illegal mining was initially discovered (see chapter 2), leading to a judicial inquiry into mining in Goa, and subsequently other Indian states, which revealed the massive scale of loot and tax evasion and facilitated an overhaul of mining policy.153,154 A similar process could be carried out in Zambia. Accurate information could contribute to developing a ‘critical consciousness’ in Zambia, which examines and questions new models of development, asking how they will serve people’s needs. Critical consciousness is necessary to prevent Zambians from being wooed by the rhetoric of new brands of neo-liberalism, which represent little or no change from the old extractivist regime and are backed by the same interests. Black Economic Empowerment (BEE) in South Africa (led by the ANC’s Cyril Ramaphosa – who now sits on the board of Lonmin),155Dalit Capitalism in India (which has helped Indians from the lowest caste [known as ‘untouchables’] become managers and owners in the very same industries that exploit dalits as cheap labour)156,157, the United Nations Environment Programme (UNEP)’s Global Green New Deal (formed following the 2008 financial crisis as a fair way to continue resource extraction from Africa in a ‘clean and green’ way), and Africapitalism™ coined by Nigerian businessman Tony Elemelu158 are a few examples. Finally, Zambia’s NGO culture should be critically re-examined. The notion of ‘civil society’ should be expanded to include community groups, marginal trade unions and people’s movements. The growth of these bodies, which are at the heart of true democracy, should be encouraged and valued. At a community level people should learn from hopeful global examples of social movements in India, Latin America and elsewhere, and begin a bottom up process of redefining ‘progress’ and ‘development’ which truly serves Zambia’s people. “…They should make public the tonnage they produce and the selling price they achieve, to enable us to determine that the Zambian companies and not their foreign affiliates are deriving the highest possible benefits from the market boom. They should report their profits and the amount of tax they paid; their cash reserves and where they are located; their dividends and their borrowings and their costs; their employment levels broken down between local and expatriate; their investment plans and their projections. small and larger amounts to make this work possible. Front cover pictures: Vedanta KCM’s Nchanga mine, Chingola. A copper truck leaves Zambia over the Victoria Falls Bridge. Polluted water in Shimulala village, Chingola. Vedanta Chairman Anil Agarwal and Zambian President Michael Sata meet in London. 1A.D. Roberts, 1982, ‘Notes towards a financial history of copper mining in Northern Rhodesia’. Canadian Journal of African Studies. Vol 16, no 2, 1982: 347-359. 2World Development Movement, 2004, ‘Condemned to Debt‘. 3Central Statistical Office of Zambia, 2012, Living Conditions Monitoring Survey report 2006 and 2010. Development’, American Economic Review, 91, 1369-1401. 5Barry Bearak, New York Times, April 4, 2011, ‘ Zambia Drops Case of Shooting by Chinese Mine Bosses’. 6Zambia Review, 14th Edition, 2013. p.24. Ministry of Commerce, Trade and Industry. Directory Publishers of Zambia ltd.
7Central Statistical Office of Zambia, 2012, Living Conditions Monitoring Survey report 2006 and 2010. 9Freedom of Information Requests to DfID filed by Simon Chase (ACTSA), reported in ‘Undermining Development: Copper Mining in Zambia’, Oct 2007, by Aby Diamond et al, SCIAF, Christian Aid and ACTSA. 12Andrew Sardanis, 2007, A Venture in Africa: The Challenges of African Business. IB Tauris, London. 13Zambia Copper Investments, Circular to Shareholers, 11th October 2004. ‘The recommended introduction of Vedanta Resources plc as a strategic equity partner in Konkola Copper Mines plc’. 16Andrew Sardanis, 2007, A Venture in Africa: The Challenges of African Business. IB Tauris, London. 18Andrew Sardanis, 2007, A Venture in Africa: The Challenges of African Business. IB Tauris, London. 20KCM, EIA for the new smelter complex in Nchanga, 2006, cited in ‘Undermining Development: Copper Mining in Zambia’, Oct 2007, by Aby Diamond et al, SCIAF, Christian Aid and ACTSA. 23Economic Times of India, Dec 23, 2013. ‘Hindustan Zinc Ltd disinvestment: CBI registers PE against Vedanta Chairman Anil Agarwal’. 26GlobalData, Vedanta Resources plc (VED) – Financial and Strategic Analysis Review, 18th July 2013. 32 Mansi Taneja & Shine Jacob , Dec 16th 2013. Business Standard. ‘Anil Agarwal’s many struggles in India‘. 35John Lungu and C Mulenga, 2005. ‘Corporate Social Responsibility practices in the extractive industry in Zambia. 39Bank of Zambia, Mineral Production and Export, 2012. 40International Copper Study Group (ICSG), 2012. 41Lusaka Times, July 22, 2011, ‘Mining Sector contributing less than 2% of domestic revenue-ZCTU’. 42e.g Sherpa versus Mopani, April 2012. Specific Instance regarding Glencore International AG and First Quantum Minerals Ltd. and their alleged violations of the OECD guidelines for multinational enterprises via the activities of Mopani Copper Mines Plc. in Zambia. 44Caleb Fundanga, Governor of Bank of Zambia, 2011, Macroeconomic trends in relation to the attainment of MDGs. Bank of Zambia website. 46Central Statistical Office, Graph of Total Copper Production 2000-2012. 47Bank of Zambia, Statistics Fortnightly: fortnight ending Nov 15 2013. Volume 20, no22. 49Sherpa versus Mopani, April 2012. Specific Instance regarding Glencore International AG and First Quantum Minerals Ltd. and their alleged violations of the OECD guidelines for multinational enterprises via the activities of Mopani Copper Mines Plc. in Zambia. 55Christian Aid’s report claims that sub-contracted labourers are paid just £37 per month instead of £150 they require for a living wage. Aby Diamond et al, October 2007, Undermining Development: Copper in Zambia. ACTSA, SCIAF and Christian Aid. 57GlobalData, Vedanta Resources plc (VED) – Financial and Strategic Analysis Review, 18th July 2013. 58Grant Thornton, 2010, Pilot audit report – Mopani Copper Mines Plc: International expert team report to the Commissioner Domestic Taxes, Zambia Revenue Authorities. 60Lusaka Times, July 22, 2011, ‘Mining Sector contributing less than 2% of domestic revenue-ZCTU’. 61Sherpa versus Mopani, April 2012. Specific Instance regarding Glencore International AG and First Quantum Minerals Ltd. and their alleged violations of the OECD guidelines for multinational enterprises via the activities of Mopani Copper Mines Plc. in Zambia. 63Banktrack, April 2011, Dodgy deal: Konkola Copper Mines. 65Lusaka Times, July 22, 2011, ‘Mining Sector contributing less than 2% of domestic revenue-ZCTU’. 66KCM, a presentation for investors on Vedanta and KCM, 2007; – the presentation states that PAYE totalled up to US$35 million out of a total of US$75-80 million. – quoted in Aby Diamond et al, October 2007, Undermining Development: Copper in Zambia. ACTSA, SCIAF and Christian Aid. 68Interview with Mattheus Mpande, UNZA, 5th December 2013. 69Taxes of mines and minerals – Karnataka State at NIC, 18 Aug 1999. www.kar.nic.in/finance/trc/ch08.pdf ? 70A.D. Roberts, 1982, ‘Notes towards a financial history of copper mining in Northern Rhodesia’. Canadian Journal of African Studies. Vol 16, no 2, 1982: 347-359. 77Standard Bank, An Analysis of China’s Copper Demand, February 21, 2012. 78Christian Aid, May 2010, Blowing the Whistle: The time’s up for financial secrecy. 79Bank of Zambia, Direction of Trade report, Q1 2013. 81Sletmo, G.K, 2001, ‘The End of National Shipping Policy? A Historical Perspective on Shipping Policy in a Global Economy’, International Journal of Maritime Economics, Volume 3, Number 4, 1 December 2001 , pp. 333-350(18). 82Fred Pearce, 21 November 2009. The Daily Mail newspaper. ‘How 16 ships create as much pollution as all the cars in the world’. 83Email from Vincent Lengwe, Director of Copperbelt Trade and Development Forum, Luanshya. 6th January 2013. 84John Lungu and C Mulenga, 2005. ‘Corporate Social Responsibility practices in the extractive industry in Zambia. 87Interview with Leonarh Phiri, Mine Workers Union of Zambia, 9/12/13. 89Kunal Bose, Financial Times, November 3, 2004, ‘India: Investor interest grows as nation shows its mettle.? 92Times of Zambia, November 8 2006. ‘KCM pollutes Kafue River’. 93Sunday Post, Lusaka, November 19 2006, ‘KCM Pollution Victims Speak Out’. Cited in Fraser, A and Lungu, J. For Whom the Windfalls: Winners and losers in the privatisation of Zambia’s copper mines, 2006. 94Newton Sibanda, December 12, 2011. Zambia: High Court orders Konkola Copper Mines to pay 2 million USD for polluting River Mushishima. 95Interview with Kelvin Bwalya, 18th December 2013. 96Dobson, AW et al, 2004. ‘Manganese neurotoxicity’. Mar; 1012:115-28. 103Aby Diamond et al, October 2007, Undermining Development: Copper in Zambia. ACTSA, SCIAF and Christian Aid. 107Interview with members of CCJP in Kitwe, 9th De 2013. 113 KCM, a presentation for investors on Vedanta and KCM, 2007; – the presentation states that PAYE totalled up to US$35 million out of a total of US$75-80 million. – quoted in Aby Diamond et al, October 2007, Undermining Development: Copper in Zambia. ACTSA, SCIAF and Christian Aid. 114 Lishala C. Situmbeko and Jack Jones Zulu, April 2004, Zambia: Condemned to debt. World Development Movement. 115 Global Data, Orbis company reports, 30th Dec 2013. (2005-2010). (see p 131) www.oecd.org/countries/ zambia /49210553.pdf ? 120 Joe Kaunda, the Post Newspaper , 10 June 1998. ‘ Africa: Kafue Consortium finally abandons ZCCM’s mines bid’. 121 Response to FoI’s to DfID by ACTSA in 2007. 124 BPD Engagement with the KCM Project, Zambia. Exploratory Stakeholder Workshop, October 2000. 125 Brochure for Diamond Jubilee Commonwealth Economic Forum: Shaping capitalism for global prosperity and sustainable growth. June 6-7, 2012. Mansion House, London. 127 Shiv Malik and Alexandra Topping, ‘Sri Lankan president cancels speech in London over protest fears’, 6th June 2012. The Guardian newspaper. 128 Butler, Larry (2008) Mining, nationalism and decolonization in Zambia: Interpreting Business Responses to Political Change, 1945-1964. Archiv fuer Sozialgeschichte, 48. pp. 317-332. 130 Julian Borger and Georgina Smith, ‘Dag Hammarskjöld: evidence suggests UN chief’s plane was shot down’. 17 August 2011. The Guardian Newspaper. 131 UN resolution 3201 (S-VI). Declaration on the Establishment of a New International Economic Order. Adopted 1st May 1974. 132 Nebert Mulenga, 2nd Nov 2012, Inter Press Service, Foreign farmers undermine food security in Zambia. Development and Change, 44(6) pp. 1255–1272. 135 Central Statistical Office, September 2013. Zambia labour force survey report 2012. 136 Zambia Development Agency, Zambia Mining Sector Profile, June 2013. 138 Interview with anonymous worker in Chingola, 6th Dec 2013. 139 Diana Jeater, 5thAugust 2011. Pambazuka News, Issue 554. Zimbabwe: International NGOs and aid agencies – Parasites of the Poor? 140 Interview with anonymous activist 6/12/13. 141 Interview with anonymous NGO head 17/12/13. 142 Diana Jeater, 5thAugust 2011. Pambazuka News, Issue 554. Zimbabwe: International NGOs and aid agencies – Parasites of the Poor? 145 Interview with anonymous NGO head, Ndola, 5th Dec 2013. 150 Equity in Extractives: Stewarding Africa’s natural resources for all, Africa Progress Report 2013. 152 Ventakesh Seshamani, Professor of Economics, University of Zambia, in: Zambia, Mining, and Neoliberalism: Boom and Bust on the Globalized Copperbelt, Edited by Alastair Fraser and Miles Larmer. Palgrave Macmillan, December 2010.